The last rays of the setting sun cast a golden glow over the shore. Bodies sway in the light breeze to the rhythm of hypnotizing music. Barefoot in the still-warm sand, she dances and laughs, a vibrant presence in the midst of the crowd. Suddenly, he is the only one, with his magnetic look, his electric aura. Their bodies are irresistibly drawn together. Confidently, she pushes her way through the crowd, no longer hearing the festive beats. Their bodies meet and time stops, suspended within the intensity of this passionate, delicious kiss. After the innocence and sweetness of the two previous campaigns, the talented Jean-Baptiste Mondino has chosen to add a festive world filled with freedom to illustrate the intensity of this flash of love. The atmosphere is like that of an intoxicating summer night. Near the water, music resounds, colors sparkle in the dusk, fire ignites the imagination and the music, created by his daughter Mahaut Mondino, makes the crowd sway to the rhythm of a hypnotic electro beat. 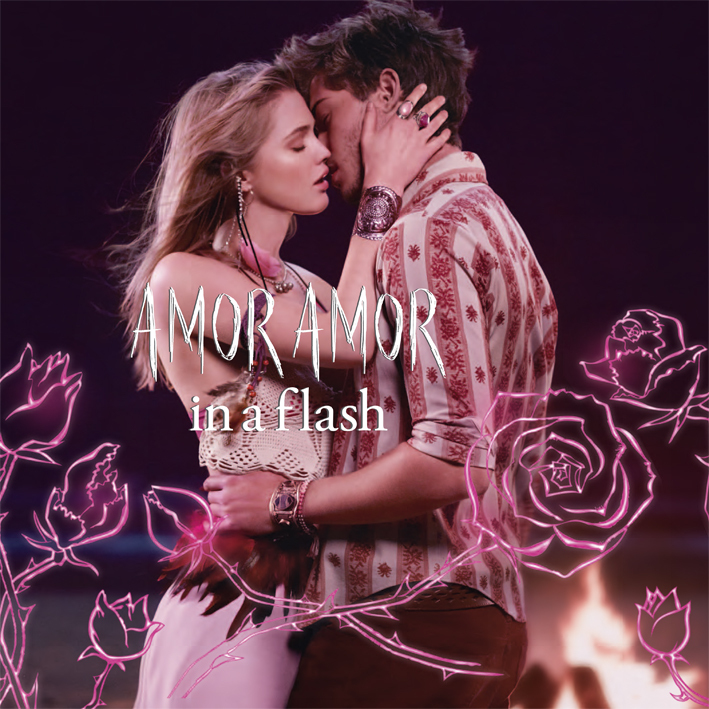 A far cry from romantic clichés and tradition, new-face Hanna Wahmer incarnates a free and self-assured young woman, determined to live each moment to the fullest at the side of a darkly handsome Francisco Lachowski. Together, they interpret this instant of pure passion. A true love potion, this luscious oriental fragrance created by Pierre Negrin, perfume designer for the House of Firmenich, encapsulates the excitement of love at first sight. Amor Amor in a Flash opens on a burst of fresh mandarin and apricot notes. Next, the skin is caressed with the lingering kiss of a red apple middle note, sensuous and carnal, combined with white caramel – a warm and sugary love apple shared by two, an intense and delicious chemistry captivating the heart and mind, enhanced by a base of cinnamon and vanilla notes. This neon pink bottle is daring, bright and luminous. 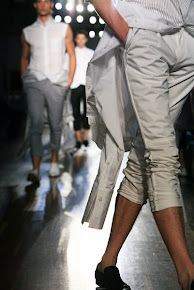 Its captivating look boldly encapsulates all the modernity of love at first sight. 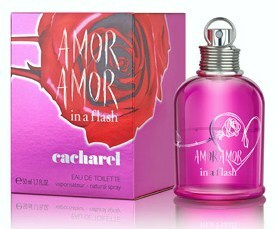 Woven around the bottle, the emblematic rose of Amor Amor becomes more audacious. Drawn in metallic tones, it passionately grasps a delicately engraved silver heart.